You’re concerned about Facebook, but are your worries warranted? What information is being recorded about you, and is it really all that unreasonable? Fortunately, there is a great way you can check: by downloading your Facebook data and analyzing it. Facebook has been recording data that its users voluntarily submit for years. It’s not all about photos and status updates; it’s the updates you read, the things you like, the ads you click, the pages you visit, and more. It’s all the sort of thing that organizations like Cambridge Analytica have been using to manage political campaigns. But they’re not along in this; your data is used for so much more, such as running advertising campaigns, or Facebook’s own internal experiments Facebook's Fascinating (and Disturbing) History of Secret Experiments Facebook's Fascinating (and Disturbing) History of Secret Experiments Facebook has a tremendous amount of power, but doesn't always use that power for good. These experiments pushed the boundaries of ethics. Read More . That’s not what you want to see, is it? But is it the same for you? The resulting ZIP file could be quite large. Mine (for a Facebook account dating back to 2007) was 231MB, so if you’re on a slow connection it may take a while to download. Once downloaded, it’s simple enough to unzip the data. You’ll find an index.htm file within the main folder. Double click this to open the file in your web browser, and navigate the different data types via the menu. I’m in the UK, so the range of data collected by Facebook is limited by the UK’s European Union membership. On one hand, it seems that the data collected by Facebook is affected by where you are in the world. Returning to Dylan McKay, he is based in New Zealand. So could local laws there have enabled some considerable privacy overreach on his mobile device? Or was it all down to the time frame? Interesting that the timestamps are all in-between November 2016 and July 2017 ? So, what took place of any significance between November 2016 and July 2017? The obvious answer would be the US Presidential Election. But what significance would this have to a New Zealander? It’s quite hard to say for sure, but some of the details that are found in Dylan McKay’s Facebook download are quite concerning. A log of phone numbers and messaging conversations, for instance, from his mobile device. …I find that my own Facebook dump is far less expansive. McKay has taken steps to analyze his data in more detail, which we would encourage you to follow. As noted, your success here (or otherwise) will more than likely be determined by where you are in the world. That’s a Lot of Data for a Personal Archive! Even if you don’t have concerns over the collation of mobile phone conversations by Facebook, there is enough in these archives to worry you. After all, you’re not the only person who has access to this information, remember? Sure, the analytics companies and advertisers may not be able to view your photos (so far, so good) but there is a great deal of additional information in the archive that may shock you. This isn’t purely about third party access to Facebook, remember. It’s largely to do with just what Facebook knows about you. And this is where it gets scary. Facebook knows more about you than you do. As Dylan notes, this is all due to using the Facebook mobile app. Now, there is something quite important about installing mobile apps that we’ve been repeating over and over again. In short: read the permission requests! 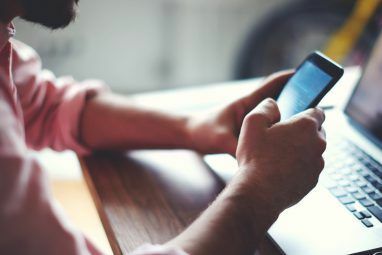 It’s worth checking your smartphone app permissions 5 Smartphone App Permissions You Need to Check Today 5 Smartphone App Permissions You Need to Check Today Android and iOS permissions can be abused in various ways. Don't let your phone leak data to advertisers. Here's how to take control of app permissions. Read More today. All mobile platforms force apps to outline exactly what permissions are being sought by an app. Our default reaction is to simply click Accept to complete the installation; what we should really be doing is reading. Full details are given, so why not spend a moment or two to read what permissions are required, and why. If no reason is given, and the request makes no sense, refuse! Already given permission? Time to clean your Facebook up Facebook Privacy Tip: How to Limit Your Data Being Shared With Third Parties Facebook Privacy Tip: How to Limit Your Data Being Shared With Third Parties You should tweak these Facebook privacy settings to prevent your data from unknowingly being shared by friends to third-party harvesters. Read More , and limit what data is shared with third parties. As we don’t know the full details of Dylan’s scenario, it’s difficult to say whether unnecessary permissions were granted. But given what was in the data dump, it seems likely. If you take the time to download your own data, you may find some surprises. It didn’t take me long to find my very first Facebook posts and photos, for example. But I also found some oddities, like comments left while drunk. Personal messages between individuals and groups are also backed up, as are all videos and photos you upload. This is particularly intriguing; if you haven’t taken the time to strip EXIF data from your photos, or disabled metadata on your snaps, then this information is also available. You’ll also find old conversations you had with people you’re no longer in touch with; perhaps even with those who have passed away. And yes, like Dylan, you might discover contact details for people you’ve forgotten about entirely. Listening to audio and video messages from the past, meanwhile, is quite creepy. Then there’s the usual privacy based things: the Ads page lists all topics that you are interested in. Applications lists the apps you use with your Facebook credentials (within the site, rather than on your phone). Finally, Security provides session information (date, IP address, browser) which could easily be used to track your activity. In short, this data is a treasure trove. You’re handing it over voluntarily; do you really want Facebook to know so much about you, or share what it knows with third parties? 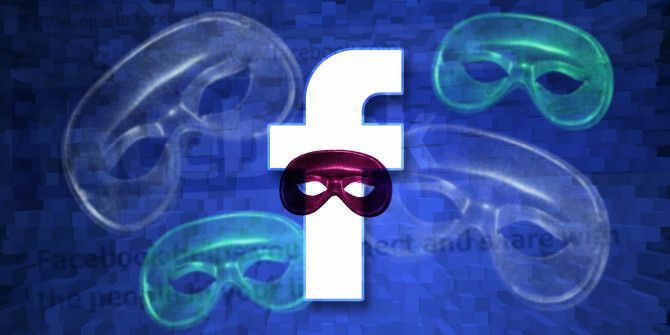 Is the End Nigh for Your Facebook Account? All of this talk of political influence (which, it could be argued, is the point of elections anyway) and third parties accessing Facebook data might be enough to put you off using the social network altogether. Speaking personally, I know of several people who are exploring their own exit strategies. After all, when you’ve been using a service for years, it can be hard to divorce yourself from it. If you are planning to quit Facebook, downloading the archive of your data is a good way to start. While there may be some surprises in the archive, all of the photos and videos you’ve uploaded will be easily accessible. This alone is worth the effort. Becoming concerned about Facebook privacy? Check our complete guide to Facebook privacy The Complete Facebook Privacy Guide The Complete Facebook Privacy Guide Privacy on Facebook is a complex beast. Many important settings are hidden out of sight. Here's a complete look at every Facebook privacy setting you need to know about. Read More . It's great information for those who have a Facebook account. But how do people who DO NOT have, and never had, a FB account get to look at the dossiers FB has compiled on them? I deleted my Messenger app and reinstalled, yet I can’t use it without a FB account, so I’m wondering if something has changed. They really don’t seem to be independent of each other. "Facebook tells me it will take about 2 weeks until everything is gone"
FB needs time to save all your data where only they can access it. So there’s really no way to use Messenger without a FB account? I was under the impression they were exclusive of each other. Never having used FB or having had a FB account, I cannot help you with Messenger. However, Messenger does seem to depend on having an active FB account. I think you should find an app that does pretty much what Messenger does but which is independent of FB and other social networks.